The downfall of kings is bloody and swift. That certainly looks to be the experience of Carlos Ghosn. A few hours ago, he was chairman of Nissan Motor Co, Renault SA and Mitsubishi Motors Corp, and arguably the most lauded automotive executive of his generation. As of writing, he’s been arrested by Japan’s police over alleged misconduct, he’s on his way to being removed from his positions at Nissan, and his hand-picked successor has just spent an hour trashing his legacy. Barely 18 months into his reign as Nissan’s CEO, Hiroto Saikawa had little good to say about his predecessor at a press conference in Yokohama. While he had plenty to offer about the seriousness of the allegations against Ghosn and his fellow director Greg Kelly, he mentioned little in mitigation. The activity under investigation involves alleged under-reporting of income in securities filings and personal use of company assets and expenses. Ghosn and Kelly haven’t had a chance to comment yet. Given the former’s nearly two-decade involvement with Nissan, you’d expect even the most scrupulous director to take a more-in-sorrow-than-anger tone in announcing his departure. That’s not how things went down: Blame was apportioned to “the concentration of power in one individual” and Saikawa focused on “eliminating the negative aspects” of the “long regime of Mr. Ghosn”. After grudgingly admitting some good came from Ghosn’s early years with Nissan, in recent years he’d been having a negative impact on the day-to-day operations of the company, Saikawa said. Given an opportunity to make a compliment when asked whether Ghosn was a “tyrant” or a “charismatic leader”, he demurred. Saikawa denied that the revelation of the conduct by an internal whistleblower was a “coup d’etat”, but that he had to do so is a clue to how much it looks like one. In this extraordinary performance, the tensions bubbling under the surface of the Renault-Nissan-Mitsubishi alliance in recent years have finally burst to the surface in brutal fashion. The alliance has become a lopsided beast — essentially a Japanese company with a Dutch head office and an outsized stake in the hands of the French government. Renault’s 43 per cent stake in Nissan typically accounts for the largest share of its equity-accounted earnings. From the perspective of Japan, the French company can resemble a parasite attempting to control its intrinsically stronger host. The question is whether this bloodshed will be enough to tame the intra-group tensions. 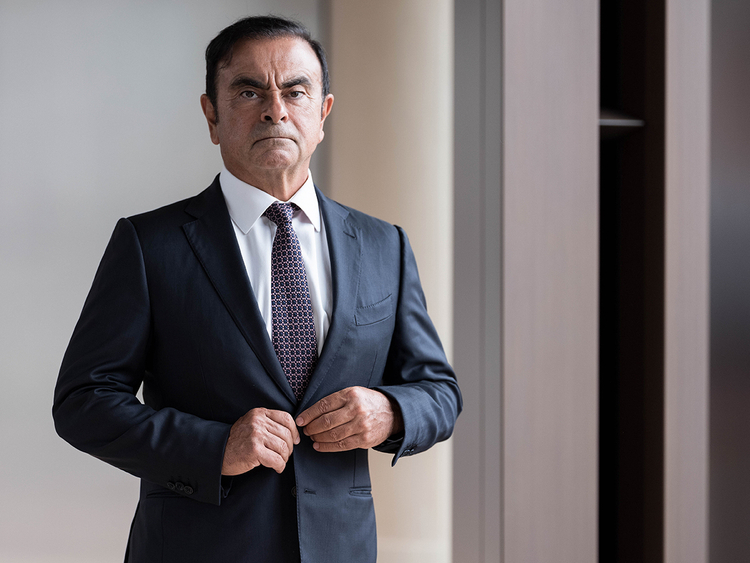 Ghosn, who turns 65 in four months’ time, had been focusing over the past year on resolving the structure of the group so that it could have a future without him as leader. That task had seemed near-impossible thanks to the divergent interests of a French state with a lot of voting power and a Japanese company which made most of the money. It’s been clear for some time that Nissan wouldn’t be happy with any change to the status quo that didn’t reflect its centrality to the group. In a report that now looks prophetic, an unnamed Nissan executive was quoted by earlier this year as saying a Renault-Nissan merger could never go ahead. The challenge of untangling those threads looks even greater now, and that’s a worrying situation since there’s no clear path toward breaking the bonds of the marriage between Renault, Nissan and Mitsubishi.